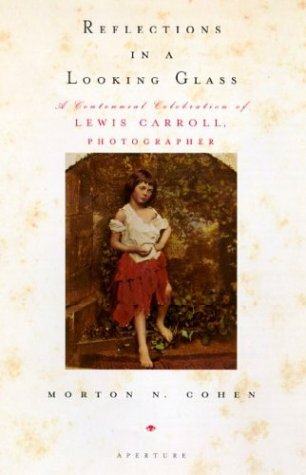 A groundbreaking book, the only volume of first-class reproductions of Lewis Carroll's photographs. Published on the one hundredth anniversary of the death of Charles Lutwidge Dodgson (Lewis Carroll), Reflections in a Looking Glass presents Carroll's remarkable photography. Richly illustrated, this important book presents seldom-seen works-most of them formal portraits and staged scenes that combine Carroll's famous childlike sense of play with the Victorian propriety that characterized his age. Also included in Reflections are selected drawings by Lewis Carroll and by John Tenniel, who illustrated the original Alice books. The central text by Morton N. Cohen, the world's leading authority on Lewis Carroll, provides an in-depth account of Carroll's experimentations in the new medium of photography. His hobby opened the door to many of his "child friends" as well as to leading artistic and literary figures of the day, all of whom came to Carroll's studio to sit for their portraits. Excerpts from Carroll's diaries combine with Cohen's annotated captions to make this book an invaluable resource. The book also includes a Preface by Mark Haworth-Booth, curator of photographs at the Victoria and Albert Museum. The Afterword is by Roy Flukinger, curator of photographs at the Harry Ransom Center, University of Texas, Austin, the source collection for much of the material in this extraordinary book. Morton N. Cohen, Professor Emeritus of the City University of New York, edited the two-volume The Letters of Lewis Carroll and has written or edited seven other books on Carroll, including Lewis Carroll: A Biography (Knopf, 1995). 1. Lewis Carroll. Reflections in a Looking Glass. Von Morton N. Cohen. München u.a. 1999.